The Bubble Tea craze has exploded in the Czech Republic in recent years, with popular vendors setting up ship in many of the country’s shopping centers, brewing beverages from small jelly-like balls. But not all bubble tea jelly balls are made the same. 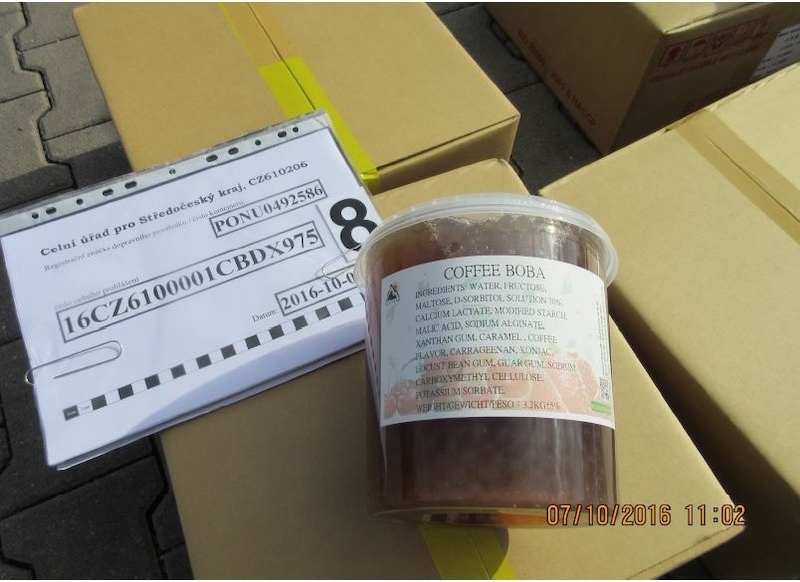 The Czech Agriculture and Food Inspection Authority (SPZI) recently seized a 3.5-thousand kilogram shipment of bubble tea balls sent to Prague from Taiwan, reports Novinky.cz. The product contained the additive konjac (E 245), which has been banned for use in jelly products in the EU since 2001. Unlike gelatin and other gelling agents, konjac gum does not easily melt, and can even swell if lodged in the throat; this led to some highly-publicized choking deaths in both Asia and the United States. In the early 2000s, products containing konjac gum were recalled in the United States and Canada, and the use of the substance in fruit jelly products was banned throughout the EU. “Eating such foods containing konjac could cause serious health complications, especially among children,” wrote SPZI spokesperson Radoslav Pospíchal in an official release. The intended destination of the seized jelly balls was not revealed.